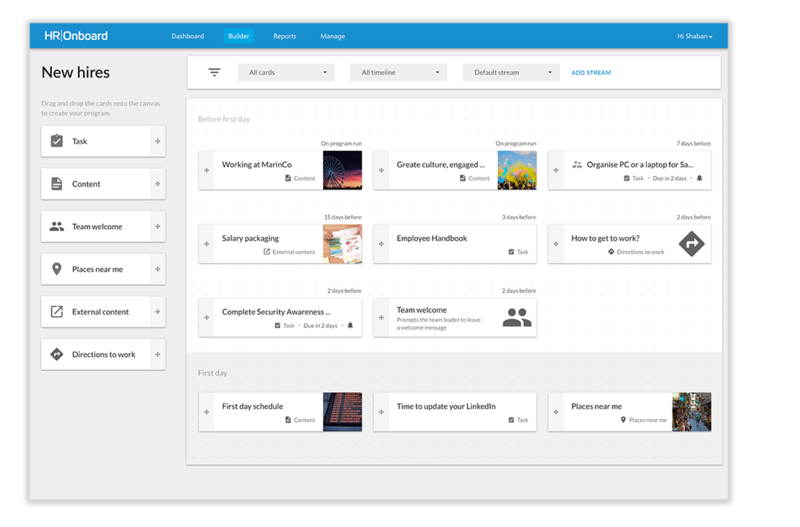 HROnboard is employee onboarding software that helps organisations create amazing new hire experiences. 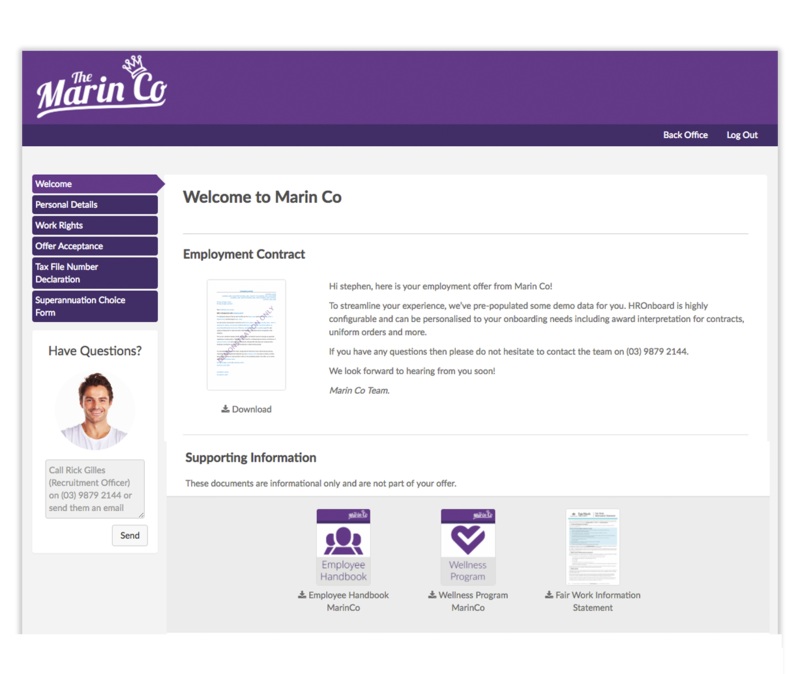 We guarantee two things - an awesome experience for new hires and freedom from HR administrative tasks. 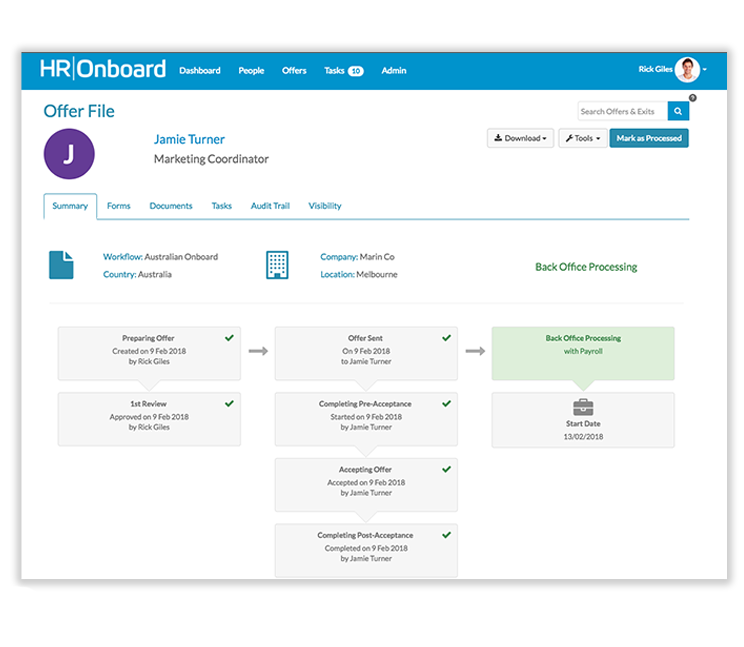 With a suite of mobile-first tools, HROnboard manages employee onboarding and new starter welcomes while providing deep insights in a way that’s simple, smart and secure. 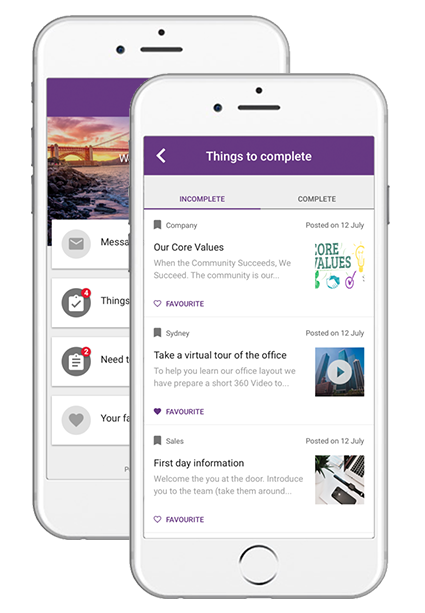 Send beautiful job offers for new employees to accept and complete from any device. Build nurture programs to connect new hires and their team before Day 1. Offboard exiting employees in style, securely. For the back office, our included government forms, provisioning notifications and integrations make streamlining the heavy lifting a breeze. 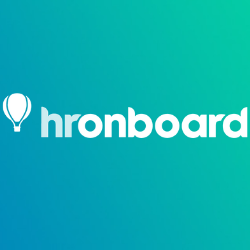 HROnboard has startup simplicity with enterprise execution. We work with all the large HRIS's for a seamless onboard from candidate to employee and beyond. This app doesn't have any prerequisites defined (yet). This app doesn't have any before you begin instructions defined (yet). This app doesn't have any information for getting started defined (yet). This app doesn't have any information about using it with your existing ATS defined (yet). This app does not produce any APIs.